﻿I work harder to sell your home! 1. The Local Advantage - I'm very familiar with Riverview, Brandon, Valrico and surrounding communities and I know what homes are selling for in your area. I will support the sale of your home from start to close. 2. Internet Advertising - Most home buyers begin their new home search on the internet. When you trust me to list your home, you'll gain access to placement on Google, Bing, Zillow, Trulia and many other websites, maximizing your exposure and bringing a large number of potential buyers to view your listing. 3. Direct Mail Campaigns - Whether you're located in Ruskin, Fishhawk, Riverview, Valrico, Brandon, Wesley Chapel, or anywhere in the Tampa Bay area, it's important to "work the network." I will work with you to figure out where to find the people most likely to be looking for a home like yours, then get in touch with them to drive excitement and interest in what your home has to offer. 4. Personal Touch - Face-to-face interaction provides the advantage to sell your home - and you won't have to worry about a thing. The details will be handled with care and constant communication, to ensure the marketing and sale of your home go smoothly. 5. Professional Quality Photographs - My professional quality photos will get people into your home! 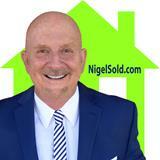 I will help you stage your home so that potential buyers will see themselves living in your home.